Our next online retirement planning class, Planning for Healthcare in Retirement, will be Thursday, May 30, 2019. One of the biggest expenses you face in retirement is the cost of health care. To plan for it you must understand the three primary phases of health care in retirement; the early phase for those who retire pre-age 65, the Medicare phase which begins at 65 and extends through life, and the later-life phase when long-term care expenses are likely to arise. We’ll be covering all this and more in our upcoming class. • Those of you age 50-70 who are within 10 years of your desired retirement date will benefit the most from this class. • Dana Anspach is the author of Control Your Retirement Destiny (in its second edition) and of Social Security Sense, contributes to MarketWatch, and spent eight years writing as MoneyOver55 for About.com and then TheBalance.com. She is the founder and CEO of Sensible Money. Dana is also a CFP®, RMA® and Kolbe Certified Consultant who began her financial planning career in 1995. Several of our prior online retirement workshops are available to watch on YouTube. Below you’ll find information and links to five of our recent classes. Once we take a look at how various retirement investments work, we’ll look at popular approaches to putting these investments together such as the total return approach using systematic withdrawals and the asset-liability approach where you invest like a pension plan. In retirement, what matters is not how much income you have; it’s how much you have available to spend. After paying taxes, if you are expecting to have $60,000 a year available to spend in retirement, and proper tax planning can increase it to $63,000 a year, that’s a meaningful increase! Research papers have begun to quantify the results that can be delivered by incorporating tax planning with investment management. Your class instructor, Dana Anspach, will be using examples and illustrations from Chapter 4, of the 2nd Edition of her book Control Your Retirement Destiny. Tax planning can put money in your pocket! Come learn how taxes work in retirement, and how to reduce what you’ll pay. Amazon reviewers are calling the 2nd Edition of Control Your Retirement Destiny the best book on retirement planning they’ve ever read. You don’t want to miss this online retirement seminar, where you’ll have the ability to hear directly from the author. This recorded retirement class covers many different ways to invest for retirement income. For example, should you load up on dividend-paying stocks? Buy annuities that guaranteed income for life? Or maybe you should follow an allocation model and use the “100 minus age” rule. We find that some women can be intimidated by financial terms, so this recorded retirement class starts by covering the basics such as what is a stock, what is a bond, and how mutual funds work. It also looks at subjects pertaining to how long your money lasts in retirement and how you go about planning for withdrawals as you near that phase of life. Watch it on YouTube at: Retirement Planning for Women. 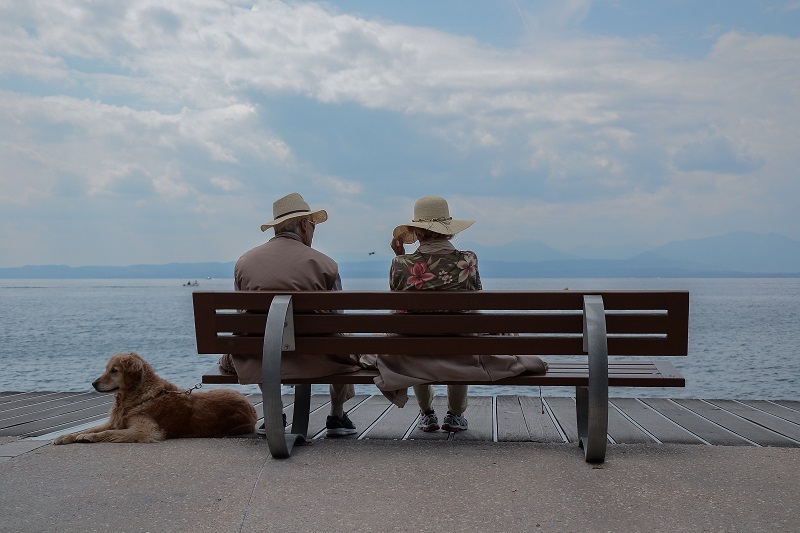 This recorded retirement seminar looks at retirement risks that you can’t control such as longevity, market returns, inflation, and the economy – how they affect how much money you will need in retirement. Then you’ll learn how you can adjust the items that you can control, such as spending, tax management, investment risk, and your retirement date, to maintain a stable life-long standard of living regardless of other external factors. The 10 worst money mistakes near-retirees make. Why investing the same old way doesn’t work in retirement. Decisions that can help protect your income well into your later years. Why paying attention to taxes is critical between ages 55 and 70. Investment strategies that protect you in a down market. The retirees that will be most affected by inflation.